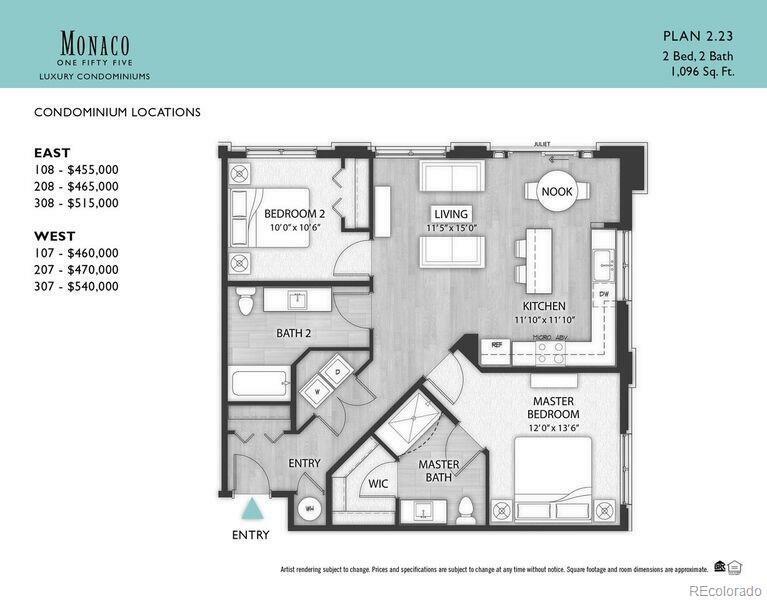 Crestmoor Heights Condominiums @ Monaco 155 NOW AVAILABLE for Move-in Nov/Dec 2018!! Live just steps away from Crestmoor Park!! Exquisite appointments and standard finishes including quartz counter tops throughout. This residence includes the White color package. Easy Access to Cherry Creek, Lowry Town Center and Downtown Denver. Hurry for preferred floor plans, locations and choice of parking!!! Take a look at our web page for more information (www.crestmoorheights.com) and what units are available.All Hard Hat tours are available Tuesday-Friday 10am-4pm and Saturday with closed toe shoes, if possible it is better to set an appointment.